Chievo vs Fiorentina predictions ahead of this Serie A clash on Sunday. Can the hosts claim a second win of the campaign? Read on for our match preview and free betting tips. Chievo continue their survival push on Sunday morning, as they host Fiorentina. The visitors come here with an eye on a European place, having drifted to four points shy of seventh place. The sides they’re trying to rival now have Champions League ambitions, leaving la Viola with distance to make up. 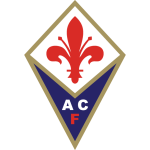 Despite being a huge side in Italy, Fiorentina are struggling to match the European contenders, so they need to get 2019 up and running with three points in this visit to the league’s bottom side. However, Chievo come here with some improved form behind them. They’re only bottom of the league thanks to their three-point deduction earlier this season, but now they have turned a corner. They started 2019 with a 3-0 loss away to Juventus, but they last lost back to back games in November. The hosts have started up their survival bid after some awful form at the start of the season and after a dreadful four-game spell under former Italy boss Giampiero Ventura. However, this Gialloblu side is in a much better position to trouble Fiorentina. The visitors are fresh from a thrilling game, as they drew 3-3 at home to Sampdoria in their first league game of 2019. They have had issues with seeing games out, and a lack of cutting edge has been a real concern of late. La Viola need to work on that in order to boost their top seven hopes. They’re three games without a victory in the league, but can they end that streak in this visit to Chievo? While Fiorentina will be seen as favourites, their away form has to be questioned. They’ve failed to win 90% of their matches on their travels this season. Their only win came at AC Milan, when the Rossoneri were mid-injury crisis and were missing crucial parts of their side. Either side of that Milan win they were held by Genoa and Sassuolo, so could they have trouble at Chievo? Fiorentina and Torino have drawn the most games in Serie A this season (nine each), just behind them are Chievo with eight. Given that, it’s hardly a surprise that we’re backing these two sides to finish level here. Fiorentina have drawn five of their last six games on the road, losing none. They’ve drawn 60% of their trips overall, while Chievo are unbeaten in their last four at home. With that in mind, a draw seems like the best bet here. 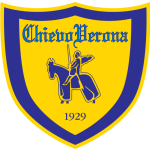 Chievo have gone unbeaten in their last four home league games (W1 D3), they last went five without defeat at the Bentegodi in September 2016. Chievo lost their last game against Juventus; they haven’t suffered consecutive defeats in Serie A since the beginning of November. Chievo have conceded the most goals from outside the box in open play in Serie A this season (eight), including one in the reverse fixture against Fiorentina. Fiorentina have drawn the most games from leading situations in Serie A this season (six out of 12 games). Since 13th November with Di Carlo as manager, bottom-placed Chievo (8) have won more points than Sassuolo, Cagliari, Genoa, SPAL, Bologna and Frosinone. Fiorentina’s Federico Chiesa scored his first Serie A goal at the Bentegodi against Chievo (January 2017): he has scored 12 goals from 244 shots, a goal every 20 shots on average. Luis Muriel has been involved in 11 goals in the last 11 Serie A games played between Sampdoria and Fiorentina (seven goals and four assists). Marco Benassi has scored three goals in Serie A against Chievo, including his only brace in the competition, in the reverse fixture; against no team he scored more.